The Zamora Trophy (Spanish: Trofeo Ricardo Zamora) is a football award, established by Spanish newspaper MARCA in 1958. The award goes to the goalkeeper who has the lowest "goals-to-games" ratio. 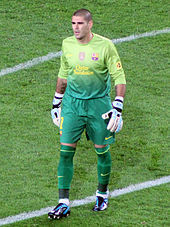 In the inaugural year of the award, the winning goalkeeper had to play at least 15 league matches in the current season. In 1964, the limit for matches a goalkeeper had to play was raised to 22. In 1983, it was raised to 28 matches, including the rule that the goalkeeper had to play at least 60 minutes in match for it to count. In the last couple of years the list of goalkeepers who would have won the trophy prior to 1958 has been published. For these seasons, a limit of matches that the goalkeeper had to play has been applied. For the leagues with only 10 teams the limit of matches was 14, for those of 12 teams it was 17 and for those of 14 the limit was 20 matches. For those leagues of 16 teams it is 22 - as originally established for the trophy from 1964 to 1983. For a goalkeeper to be eligible for the trophy he should play at least 28 games, considered calculable, during the league season. For a match to be considered calculable the goalkeeper should play, at least, 60 minutes of said match. The winner shall be the goalkeeper who has the lowest coefficient, worked out to the second decimal place (hundredths). This is calculated by dividing all goals conceded in the league (including those matches which aren't calculable i.e. those in which the goalkeeper has played less than 60 minutes) by the total number of calculable matches. The trophy can be won by more than one goalkeeper if they have the same coefficient. In which case each goalkeeper shall be awarded a trophy. Each week MARCA shall publish a provisional league table. Until one or more goalkeepers reach the 28 calculable matches the league table shall reward those goalkeepers who have played the most calculable matches, and within those, the one who has the lowest coefficient. From 1936-1939 no league matches were played due to the Spanish Civil War. * Gallardo was the provisional winner and the award was given after his death. ^ Similar to goals against average in ice hockey or earned run average in baseball. ^ a b In the 1970-71 season and the 1972-73 season, MARCA awarded two trophies; one to the team with the lowest coefficient and another to the team that had conceded the fewest goals. ^ In the 1992-93 season two goalkeepers tied when calculating the average with a precision of two decimals. The tie-breaker was the number of matches played, which favoured Liaño. On the other side, the calculation of the third decimal favoured Cañizares. MARCA resolved to award two trophies. ^ "José Antonio Gallardo dies after eight days in coma". El País. Retrieved 29 October 2016. This page was last edited on 18 March 2019, at 19:14 (UTC).